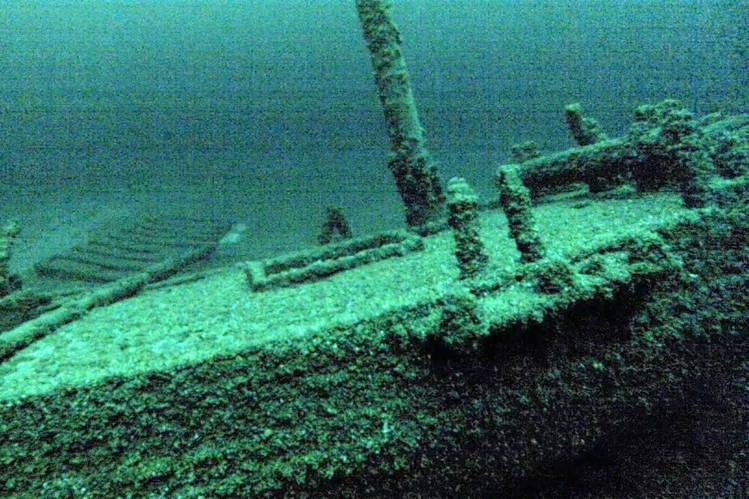 The second-oldest confirmed shipwreck in the Great Lakes, an American-built, Canadian-owned sloop that sank in Lake Ontario more than 200 years ago, has been found, a team of underwater explorers said Wednesday. According to the National Museum of the Great Lakes in Toledo, the 18th-century sloop known as Lady Washington was discovered by a three-member exploration team in June. The team — Jim Kennard, Roger Pawlowksi and Roland Stevens — were conducting an underwater survey funded by the museum. Built in 1797, the Washington was a groundbreaking vessel. Not only was it the first ship built on Lake Erie in Pennsylvania, but it was also the first vessel to sail on Lake Ontario and Lake Erie. The 53-foot-long ship made its first voyage in 1798 and its final one Nov. 6, 1803 and was taken out by a storm in Oswego, New York. The accident claimed the lives of the crew and several passengers, and saw the loss of $20,000 worth of merchandise cargo from East India. “Breaking the 18th century barrier is not only psychologically important, but the wreck may reveal the earliest shipbuilding techniques on the Great Lakes ever examined,” Christopher Gillcrist, executive director of the National Museum of the Great Lakes, told Cleveland.com. The American-built, Canadian-owned sloop was discovered at the bottom of Lake Ontario via side scan sonar and the ship’s identity was confirmed through a remotely operated underwater vehicle. According to the museum, it is one of 6,000 to 8,000 shipwrecked vessels on the Great Lakes. A report from the museum says the ship has significant damage in the sloop area, suggesting that the vessel went down stern-first. Though damaged, the sloop is still standing. Other portions are damaged: the sails and rigged have rotted, the anchor hangs are covered with mussels, and the cabin is destroyed. “Every shipwreck offers something different that adds to our knowledge base,” Carrie Sowden, archaeological director at the National Museum of the Great Lakes, told Newsday.